35,322 others viewed this post. During the recent “Stargazing Live” TV broadcast with Brian Cox the AAO telescope took an image “live” during the broadcast. 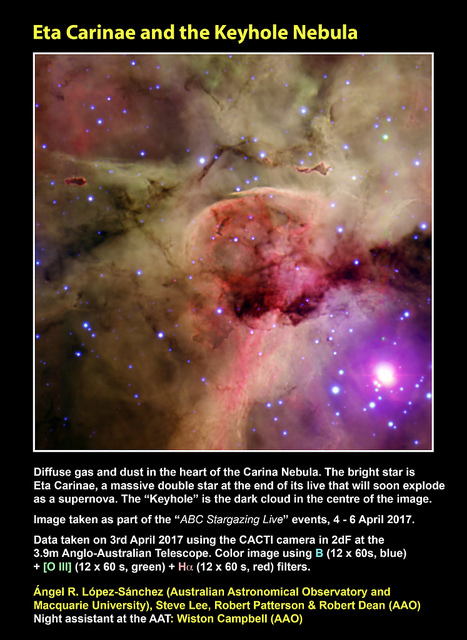 In reality, much of the data for the photo had been gathered the previous night and they quickly finished processing it during the show. 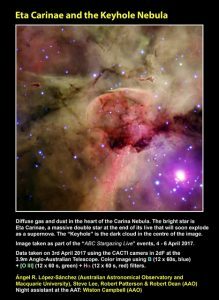 It was a photo of the Keyhole Nebula taken and processed by Angel R. Lopez-Sanchez who graciously provided me some details about the image. This version I’ve done with my little backyard telescopes uses a colour camera to capture it’s natural-eye colouring. It’s one of the best I’ve managed so far I think, thanks to some recent equipment and software upgrades. 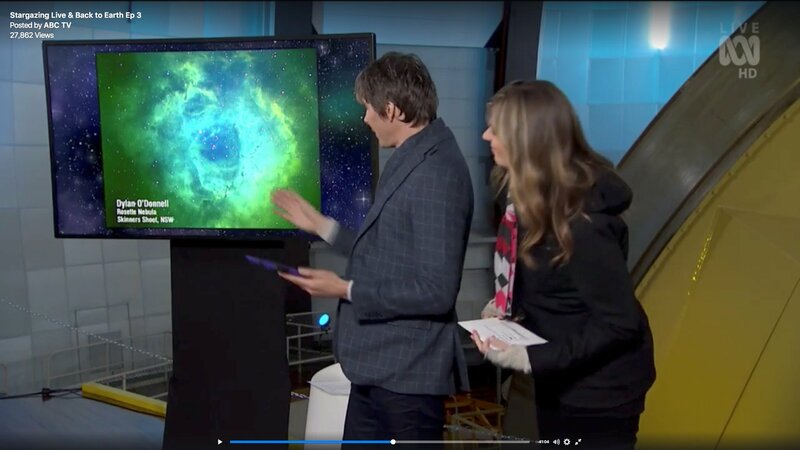 Also you might have noticed during the Brian Cox “Stargazing Live”‘s third night they featured and discussed one of my false colour narrowband photos as well! I was super excited to be involved and it was a wonderful television event for Australian audiences. For the techies : 2 Panel Mosaic – 61 x 2m Ha @ 1480mm / f6.3 / QHY9m using c9.25″ Edge HD + 21 x 1m Combined as LRGB with RGB @ 620mm / f2 / QHY12 using C11″ RASA. CGX Mount. Processing PI & Photoshop, Total Integration 143 minutes.